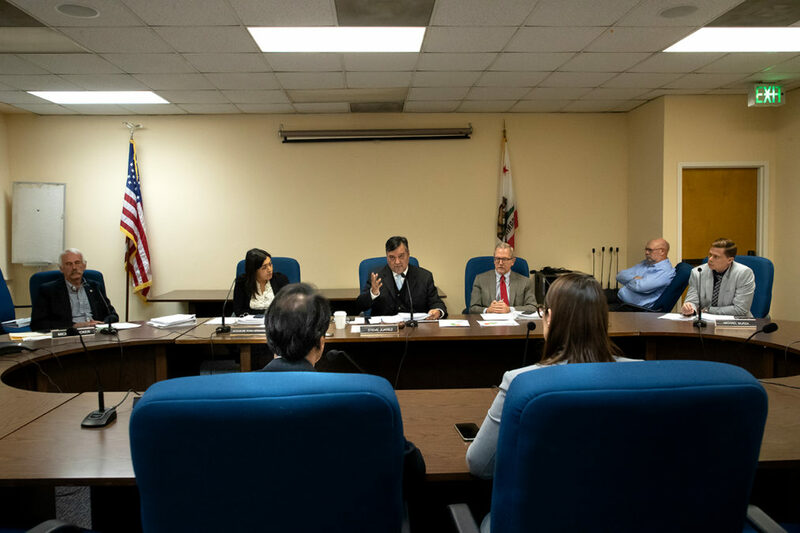 Steve Juarez (center), a California deputy state treasurer, speaks to Tesla representatives Sanjay Ranchod (left foreground) and Erin Bradley (right foreground) at a meeting of the California Alternative Energy and Advanced Transportation Financing Authority on Tuesday in Sacramento, Calif.
California officials doling out lucrative tax exemptions to Tesla Inc. grilled the electric carmaker’s top safety executive on its treatment of injured workers at a meeting in the state capital this week. Tesla is the biggest beneficiary of a state program providing financial incentives to manufacturers that help lower greenhouse gas emissions. It has received more than $200 million in sales and use tax exemptions since 2009 from the California Alternative Energy and Advanced Transportation Financing Authority. 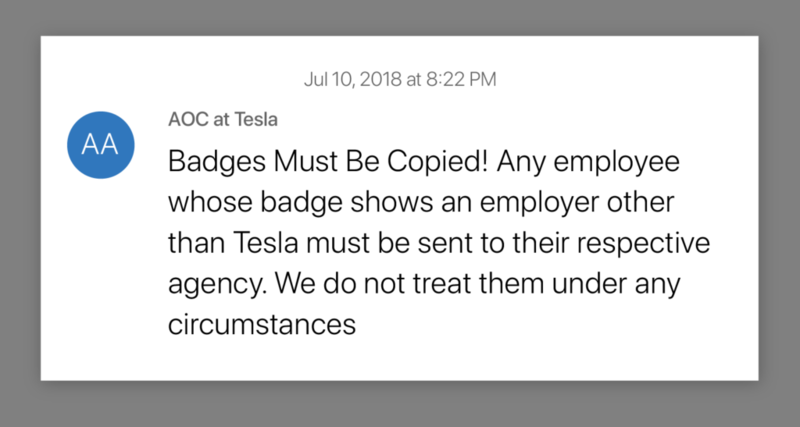 Members of the state board on Tuesday questioned Tesla officials about an investigation by Reveal from The Center for Investigative Reporting that found the company’s medical clinic failed to properly care for injured workers as part of a strategy to avoid counting injuries. 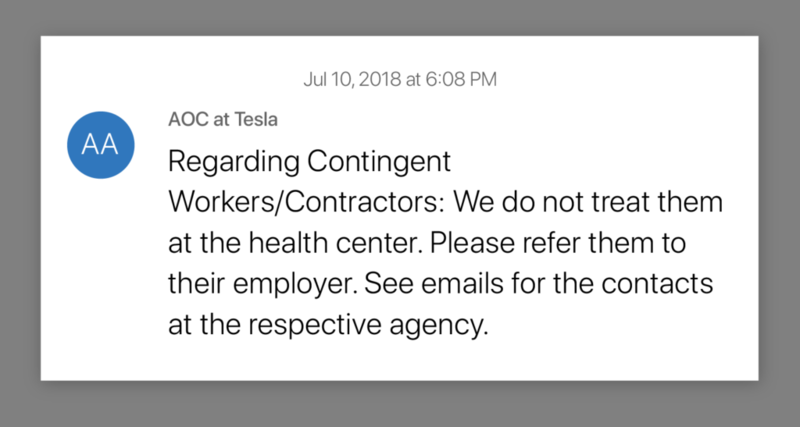 We reported earlier this month that Tesla’s medical clinic systematically sent injured employees back to the production line, even when some could barely walk. The clinic also inappropriately dismissed injuries as not relating to work and sent injured workers to the emergency room in a Lyft instead of an ambulance. 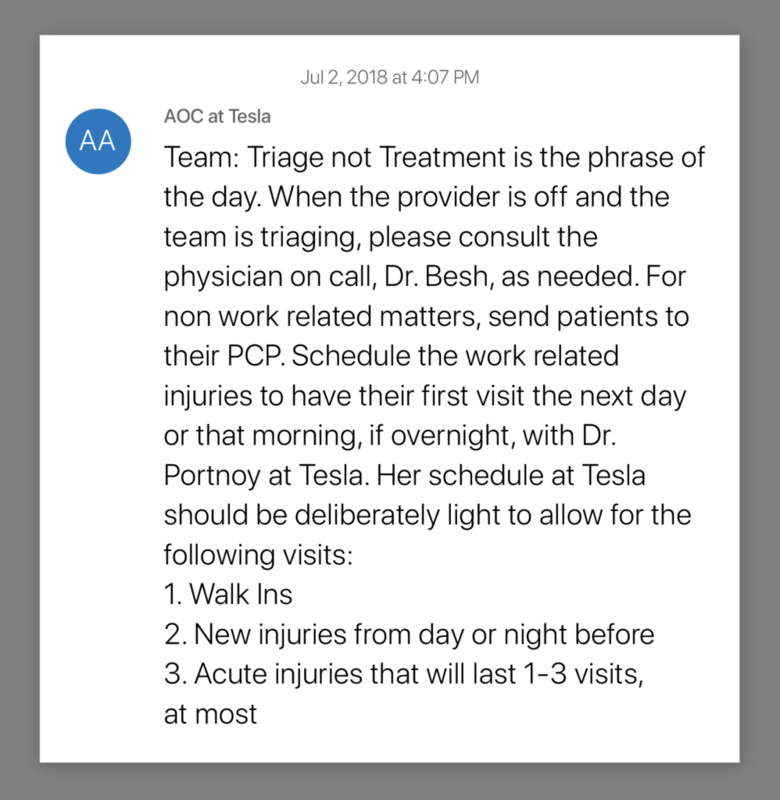 Tesla pressured the clinic to minimize injuries and instructed clinic staff to stop prescribing exercises so the injuries didn’t have to be counted, we found. Five former clinic employees said the clinic’s practices were unsafe and unethical. Our earlier investigation found that Tesla undercounted injuries and ignored the concerns of its own safety professionals. Laurie Shelby, Tesla’s vice president for environment, health and safety, responded to the board’s questions by phone, disputing our reporting and praising CEO Elon Musk for inviting her to talk about safety on an earnings call. Shelby also trumpetted Tesla’s “new and improved” health clinic, managed since June by Dr. Basil Besh of Access Omnicare. “Tesla’s new clinic offers more specialized on-site care, and it’s staffed by three full-time physicians,” Shelby said. It was one of several misleading statements Shelby made to the financing authority. The clinic has had only one on-site doctor, who works during the day, according to former clinic employees. On the night shift, medical assistants were often left on their own, sometimes acting outside their scope of practice, while a doctor was on-call by phone. Jacqueline Wong-Hernandez, the California Department of Finance’s chief deputy director for policy, told Shelby that she was contacted “by people who have essentially said this clinic exists to stop reporting” of injuries. Shelby denied that. Board members said they were struggling with how to judge our findings and Tesla’s claims without the ability to investigate. State Treasurer John Chiang, chairman of the financing authority, said in a statement that his office “unfortunately, does not have the legal authority or auditing resources to validate or dismiss these charges through an investigation.” Chiang said he will refer it to the California Division of Occupational Safety and Health, or Cal/OSHA, and the state labor department. “We will continue to monitor the situation and revisit the issue, as needed, and future awards may rely on the results,” the statement said. Michael Picker, president of the California Public Utilities Commission, asked Tesla to provide more specific data on the most injury-prone parts of the factory so that he could evaluate progress over time. He said he was concerned when Shelby told him such information is not reported to Tesla’s board. “I’m worried that there’s not people paying attention to that at the highest levels,” he said. Tesla is due to report back to the financing authority in the spring. Anna Watson, a physician assistant who worked at the Tesla clinic for three weeks in August, blew the whistle on the clinic’s practices in our story. She drove from Silicon Valley to Sacramento to speak at the meeting, decrying the lack of medical care provided to injured workers. “The way that the injuries are disregarded and dismissed during their initial medical appointment is not acceptable,” she said. Besh, the clinic’s owner, called in to say “the clinic exists to take great care of people” and relies on accurate diagnoses. “We call balls and strikes right down the middle,” he said. Shelby made several statements to the board that were contradicted by former clinic employees, injured factory workers and clinic records. But workers who got referred to the main clinic often had to wait days for an appointment, according to Watson. Stephon Nelson, for example, waited eight days after his crushing back injury to be seen, his medical records show. In the meantime, Tesla’s on-site clinic sent him back to work full duty, even though he could barely walk. In fact, there was a blanket policy to turn away temporary workers as recently as August, our reporting shows. A July text message instructed clinic staff to not treat any contract workers. The messages were sent by Amirra Besh, the clinic’s administrator and the doctor’s wife, according to former employees. This week, Shelby said the clinic provides treatment to all workers, even those who are determined to have injuries or illnesses not related to work. “We still treat them,” she said. 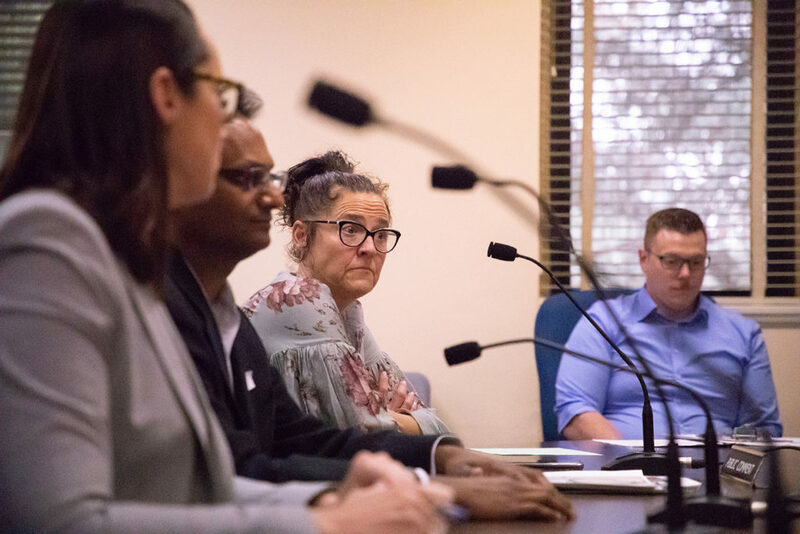 In July, she told the board, “Of course you don’t turn people away.” But the clinic’s policy, according to former employees, has been to send workers with non-occupational injuries to their primary care physician. Former clinic employees said they were told to dismiss injuries as not work related even when they were. But former employees said they weren’t allowed to do much beyond take vital signs and provide ice and a place to rest. Those admitted to the clinic couldn’t get basic things such as prescription-strength ibuprofen, they said. A medical assistant who worked at the clinic said she would tell workers to find a first aid kit. “What’s the point of having a medical department if you’re not going to do anything?” she said. Fairfax and Newell, who are former high-level officials with the federal Occupational Safety and Health Administration, told Reveal that they visited the factory for about a week in July and were impressed with Tesla’s safety program. But neither visited the medical clinic. We didn’t include them because they didn’t have independent knowledge relevant to our investigation of the clinic’s practices. Newell called Shelby, who he has known for years, a “thought leader.” For his recordkeeping review, Newell said he looked at a sample of injuries that Tesla already had recorded on its logs. To really determine whether a company is undercounting injuries, he said a full audit of employee medical records would be necessary. But he said that’s a laborious process that’s rarely done and wasn’t needed in this case. Instead, Newell said, “you look at a sample of records and you kind of get a feel as to whether something smells right or not.” He said he had a good feeling from Tesla. Fairfax said he visited the plant “to do walkthroughs and limited assessments because we didn’t have a lot of time.” He came away without any serious concerns, he said. Fairfax said he was told by Tesla that there was no prohibition on calling 911, which was contradicted by former clinic employees. Nelson’s own medical records show that’s exactly what happened. Will Evans can be reached at wevans@revealnews.org. Follow him on Twitter: @willCIR. Some of the world’s wealthiest companies are cutting corners on worker safety. Get our latest stories delivered straight to your inbox.